The 44th annual National Shrimp Festival hits Gulf Shores this weekend. Beginning Thursday, Oct. 8, this long running, taste bud tickling, shellfish celebrating event won’t stop until Sunday, Oct. 11. Throughout the four-day festival you may run into more than 300,000 people, witness 80 hours of live music including national, regional and local acts, and feast on the wares of 50 vendors lining the boardwalk of the public beach. Thanks to the generosity of Zatarain’s Organized Seafood Association of Alabama, the Alabama Seafood Marketing Commission and Wind Creek Casino, more than 200 pounds of shrimp per day will be prepared by some of our area’s best chefs using their award-winning recipes. These samples will be given away at different tasting times posted on the outside of the sponsors’ tents. Be sure to visit “Outdoor World,” which will feature boating, hunting, fishing and other outdoor activities as well as vendors. “Singing for Scholarships” is an American Idol-style competition, as singers from seven local high schools compete in rounds of elimination. Scholarships will be awarded to the top three contestants. Saturday plays host to a sand sculpture contest for the whole family. The Children’s Activity Village will have plenty of activities, including face painting, karaoke and much more. Need to make room for the festival food? Enter the 5k or 10k races to shed the pounds. Proceeds from these runs will be donated to Coastal Baldwin Education Enrichment, which benefits the Gulf Shores and Orange Beach public schools. You’ll also find arts, crafts, cars and tons of booths, but the real reason for this is to hit up the vendors and sponsors in order to celebrate Alabama wild-caught shrimp. Nothing is finer. Admission is free. Visit www.myshrimpfest.com for more information. Don’t miss the 25th annual March of Dimes Signature Chefs Auction this Thursday, Oct. 8. It’s always an evening of culinary masterpieces as some of our top chefs congregate for samplings of wine, live entertainment, a lively auction featuring one-of-a-kind packages and, of course, some of the best food Mobile has to offer. 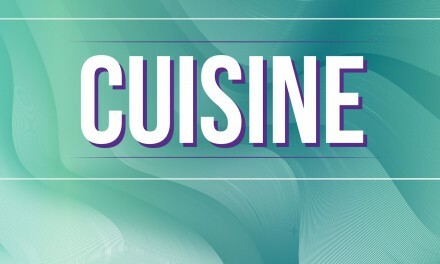 Tickets to this event are $75 each, available through March of Dimes (www.signaturechefs.marchofdimes.org). It’s a small price to pay for the many chefs on hand, each bringing his or her “A” game. The event is downtown this year at Space 301 and begins at 6:30 p.m. with cocktails and wonderful tastings, all for a worthy cause. It’s the first of hopefully many, but we just caught wind of Fairhope’s Forrest Gumbo Classic. This 5k and one-mile fun run plus gumbo cook off combination will be held Saturday, Oct. 24, and begins at beautiful Fairhope Municipal Pier. The cook off is open to all local restaurants, companies and service clubs as well as individuals who think they have the right stuff to be king of the gumbo pot. Separate trophies will be handed out to best restaurant and best non-restaurant, as well as a People’s Choice winner selected by the public. This inaugural event is put together by the Kiwanis Club of Fairhope and Eastern Shore as they team up with Fairhope Local, whose mission is to promote local business and to preserve Fairhope’s unique character (www.fhlocal.com). To register to run, or to enter the cook off, contact the City of Fairhope at www.cofairhope.com. Admission to the cook off is $10, the races cost $20 and the race/gumbo cook off combo pack is a steal at $25. We will see you there. Ground has been broken for another Newk’s Express Café location in West Mobile. Those farther west of the 252 Azalea Road establishment are about to become more familiar with the giant salads, soups and sandwiches we’ve come to enjoy. The new location is in front of Academy Sports & Outdoors near Schillinger Road. We will let you know as soon as it opens for business. David Rasp, owner of both Heroes locations and Royal Scam, let us in on the formation of Next Level Hospitality Inc., which will serve as a management company for his three restaurants. This includes the hiring of Bobby Mills as culinary director (Heron Lakes Country Club, Tacky Jack’s, Aramark) and Richard True as director of guest services (Ralph and Kacoo’s, Lap’s, True Midtown Kitchen). These are big names in our restaurant scene. “Bobby and Richard bring tremendous experience in a variety of dining concepts to the table, and we are very excited to have them join our team,” Rasp says. There are rumors of building purchases and talks of the possibility of another restaurant that may be opening in the near future. Of course we will let you know as soon as anything solidifies. The Hangout Oyster Cook Off has announced its schedule for the chef workshops to be held Saturday, Nov. 7. These are events within events you don’t want to miss. Don’t miss your chance to learn from the real pros! As always, recycle.